physical merging upon death | Indigenize! My beloved father is 96 years old and still in relatively good health and sound mind, so right now I am appreciating that immensely. But knowing it a precarious situation, and also witnessing two dear friends go through the dying process right now from cancer, I’m aware of living close to the wild border edge of life and death every day. Of course, we all are, every one of us – but it’s easy to forget that. We who are relatively young think we will of course live for many years; yet in reality, some random event could make these our very last seconds – yes, these ones right now, used up staring at the computer. Considering our mortality a lot can make a person quickly shuttle between peaceful big-sky-mind enlightenment and terrified paranoia, plus frustration over how so much of life is wasted on things like new passwords and insurance forms. This post is about the physical side of passing on; our post-mortem physical relationship with the earth. Think of the waste of our good bodies that comes with death under the current norms of the industrial growth society. We get buried in metal, concrete, or varnished wooden tombs where not even the worms can have a bite, or burned to ash that’s then kept in a jar or at best, scattered to the winds. There’s a long history of not wanting death to touch us, even physically. It’s so interesting how we want to keep ourselves from dissipating into the cycle of life on this planet in a physical way after death. I figure there is a lot of good meat on my bones, which really ought to be offered for somebody’s use. After all, I’ve eaten a lot of beings in my life, and it’s no trouble whatsoever to give my own body back for others’ nourishment in turn at that point. 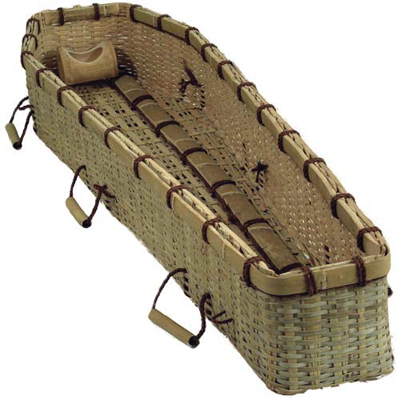 I would personally like to have an air burial like in Tibet so I can be eaten by birds — but for now, here are a few much tidier (and also ecologically green, plus as a bonus, legal) alternatives: lovely wicker or cardboard caskets that allow your body to merge with the earth, and urns that allow you to become food for a new tree. 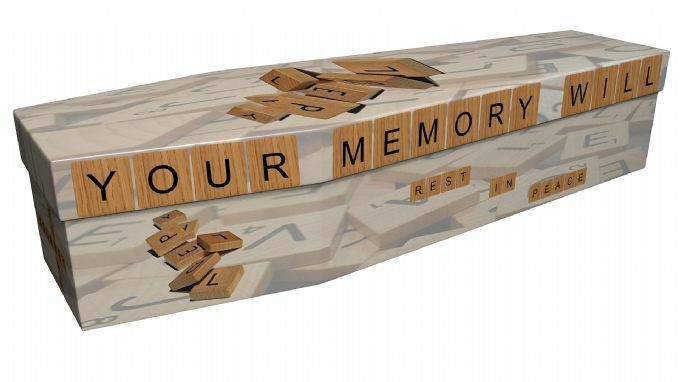 This one made by Celtic Caskets, in Tutbury, U.K.
2) Cardboard coffins, which can be personally decorated by the deceased’s friends and family. 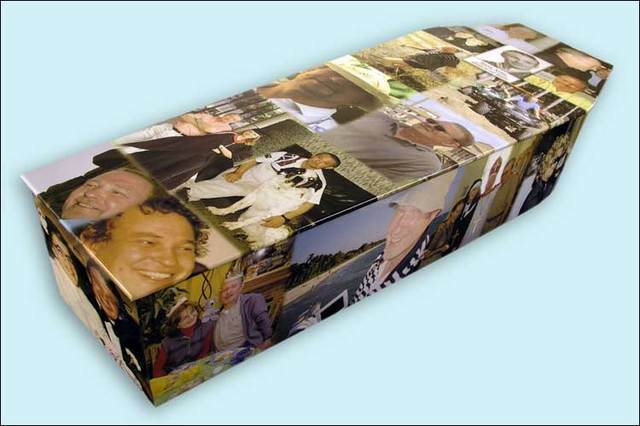 Coffin of the future? 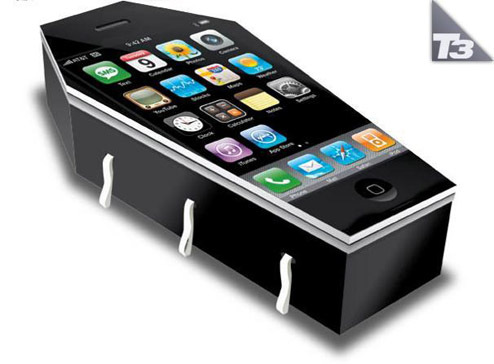 – No need for a bell inside: if you get mistakenly buried alive by mistake, just send a text message. 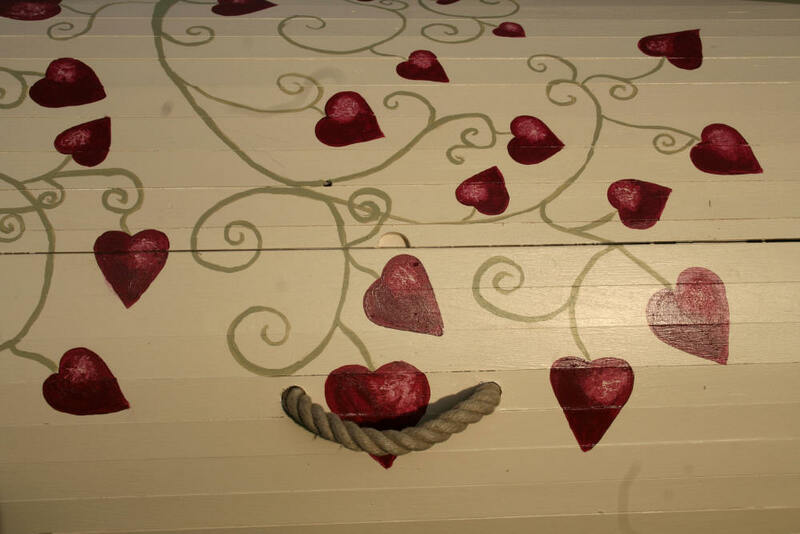 …that are not so simple once they are decorated with love. Here you might be wondering, well, these look great – but what about the effects of the body itself? Is that okay to put into the earth like that? If chemically treated, well, no. In America, with the exception of those of particular faiths such as Jews and Muslims, embalming is a norm. Human animals are not natural scavengers of carrion: we don’t like the smells of death; the reality of decay, the body’s return to its elements. And in America, most of us have been kept away from death for many years. I remember as a teenager, realizing with horror that the first birth I was likely to see would be that of my own child’s emerging from my own body, and the first death I’d see would likely be someone I loved dearly. And it seemed to me that it would be a better idea to get to “practice” on those with whom I was not so close. Townsfolk; neighbors. You know? 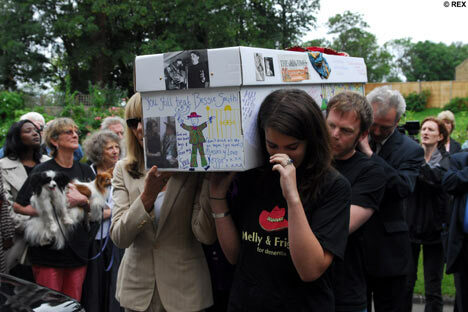 Uncles, grandparents – all the funerals I attended had been closed-casket. You really couldn’t know if the person was even in there. It was all so very abstract. Even if they’re open-casket, the bodies have been gussied and smoothed and painted and waxed over so much by the funeral home that they don’t much look like the person anymore anyway, and you’re not allowed to touch him or her to find out how death feels: the coldness, the stiffness; the reality of their changed situation from living in there to being gone. The upshot is that we don’t ever really get to say goodbye. But embalming is not necessary. Do you know where it got started? The ancient Egyptians perfected the technique, to preserve their most important people’s bodies for use in the afterlife. The belief was that preservation of the body would allow more strength for the soul, which might be then able to return to reanimate the body later. (They also put into the tombs useful tools, foodstuffs, pets, and newly-slain slaves to wield them.) 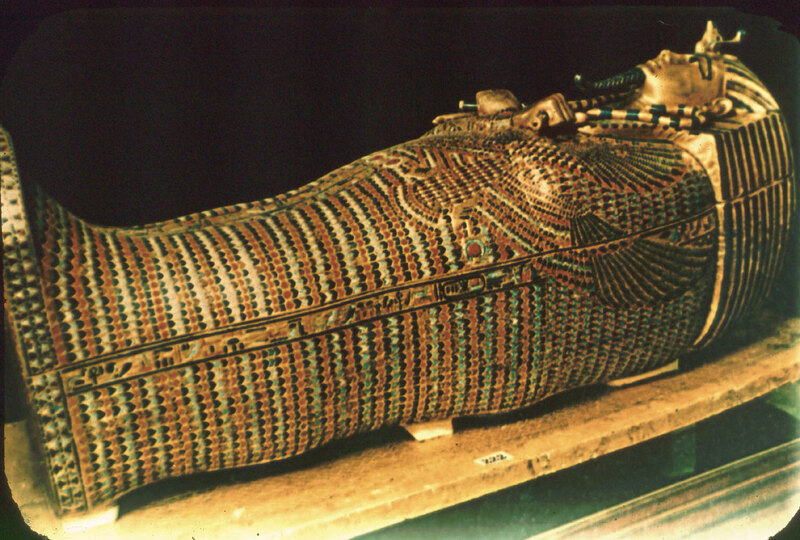 Embalming also appeared in Han dynasty China and among the Inca in Peru. The chemical techniques used then involved the use of arsenic salts. Embalming was attempted by Europeans during the Crusades in the middle ages, by soldiers who knew their comrades would rather be buried at home than in the far off lands they were invading. The British Empire was a big proponent of it, as was the Church, who dissected their saints and then passed their parts out to various churches to keep the fighting over their holy remains to a minimum. I once visited the basement of a beautiful church in Vienna, for example, whose jarred collection specializes in saintly intestines. –But I digress. 17th century would-be physicians used embalming when working with corpses to understand the workings of the human body, to keep them from rotting away before they could dissect them. Embalming got big in America with the advent of the Civil War. When its practice allowed Abraham Lincoln’s body to be successfully transported back home for burial, the idea of embalming took off in popular imagination. Since such claims usually couldn’t be proven either way without other evidence like an empty arsenic bottle in the closet, formaldehyde was an improvement there. But both are incredibly toxic, including to soils and groundwater when the corpses’ constituents leach out into the area as they decay. (I’ve read that formaldehyde breaks down some in alkaline soils, but many soils are not alkaline.) Formaldehyde is strongly suspected to cause cancer and nervous system disorders, among others. Recognizing its potential danger to exposed workers, OSHA can require funeral home employees to wear masks. 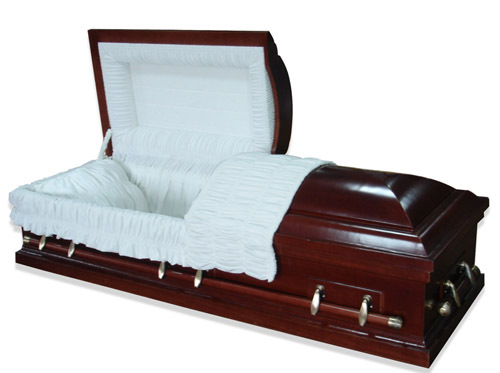 Embalming is necessary and legally required to embalm when transporting a corpse internationally. This makes sense for reasons of both health and pleasantness. But under other circumstances, since most of us no longer believe in the need to preserve the body for the later reinhabitation by the soul, unless we feel the psychological need to artificially fix our beloved deceased’s remains for the funeral in a variant of plastic coating on the furniture rather than letting her/his softly passing state show through naturally, there is no need to embalm. 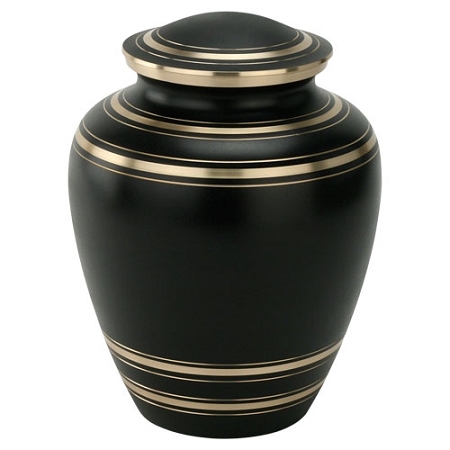 In contrast to the heavy plastic one-use job sent by most crematoria or decorative urns designed for perpetuity, here are two kinds of biodegradable urns that allow your cremains to grow into a tree. I’ll show you two. 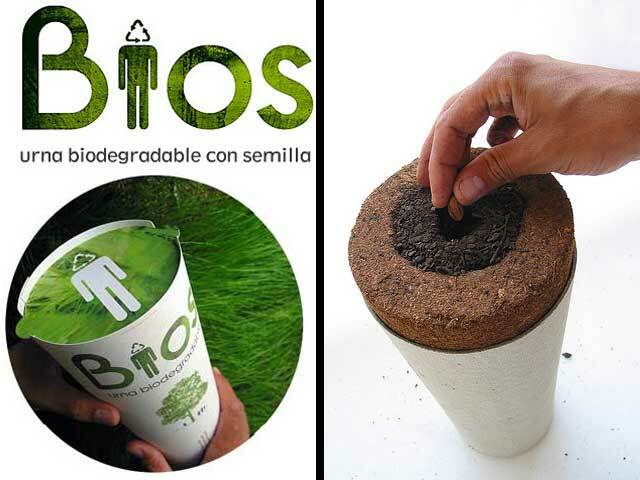 Spanish designer Martin Azua’s Bios Urn is a completely biodegradable urn that contains a single pine tree seed. 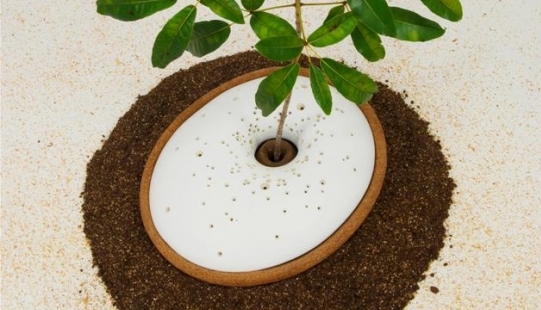 When planted, the tree seed is nourished by the nutrients from the cremation ashes. 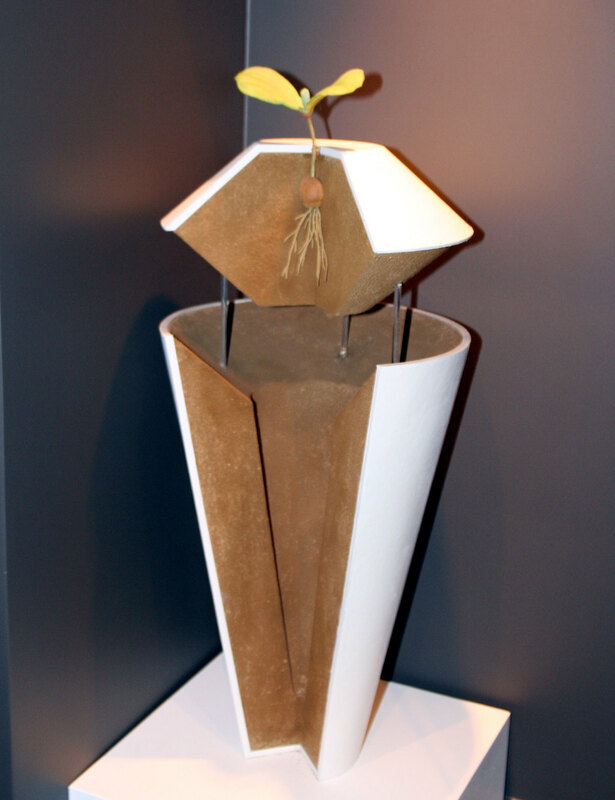 The urn itself is made from coconut shell, compacted peat and cellulose. The ashes are mixed with these, and the seed placed inside. Both of these have won awards for good product design. 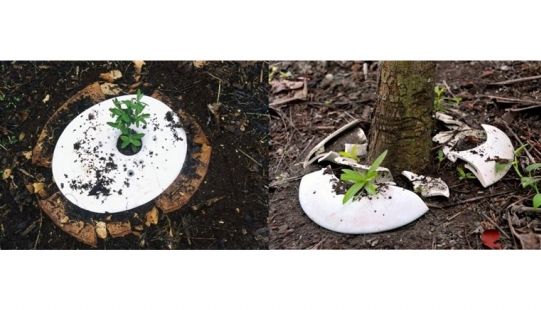 I’m so happy to see creations like this that combine both psychological and physical gifts: the psychological gift to those beloveds left behind witnessing death give new life, and the physical gift a tree offers of a greener environment and cleaner air for future generations of all species. Out of loss comes regeneration and hope. Which would you prefer to leave behind: a tombstone or a tree? The idea reminds me of one of my favorite ancient Greek tales, the tale of Philemon and Baucis. They were two old people whose generosity and kindness led the gods to grant their wish of dying at the same time so neither would have to live without the other. And as icing on the cake, at the moment of death, they were turned into intertwined trees that could continue to provide shade and shelter to weary travelers. Ah, to become a tree: is there anything finer? I wanted to close this piece with a poem I so admired that I wrote it out by hand 20 years ago, but somehow, as these things go, the paper has now disappeared. But its story remains alive inside me, and I’ll paraphrase it here. If you know the poem or its Native American author, I’d be very grateful if you’d bring it home to me once more. When my grandmother died, it was high summer. It is hot here where we live, and before the relatives could come, her body had started to decay. The flies found her first. Although we tried to preserve her, her smell became strong and difficult to be around. We buried her after three days with gratitude and tears. Next spring, where we buried her, flowers grew. The flowers were beautiful and their fragrance wafted down from her grave. The flowers smell so beautiful. My grandmother smells so beautiful. That is an awesome post. I’ve been hoping to find stuff like that for a while. I totally want to build my own. Cool! When you do that, Kevin, I hope you’ll share some pix. –Before inhabiting it, of course. When my mom was in extremis in the hospital a lot relating to your opening thoughts circulated in my thinking, I wondered about this planet being a closed system and in that sense a great — the greatest — pool of “everything” that her being, all the biological, electricity, everything would join again. I thought of the water cycle as an analogy. As in, perhaps, somewhere in my cells is a bit of sweat from a fire ant in China mixed with a tear from Uganda, and so forth. Now I look back and the left-brain, show-me-the-measurable-evidence part of my thinking challenges a few questions about this which I’ll not ramble off on today, but it was a comforting and expansive image over the goodbye, particularly with her insights and feisty ecology awareness that possessed her throughout life. 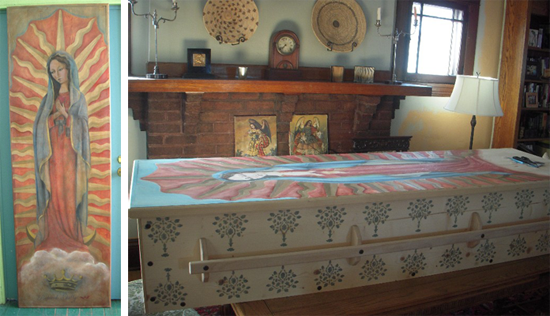 I like your examples of alternatives to the standard casket and embalming, etc. and appreciate the post. I appreciate your post, too, Brien. Thanks. Thanks so much for this post — we need more thinking like this! Ha! Red Chief, how wonderful. “Bust him out” indeed! I love both your roommate’s perspective and his passion. He “…silently agreed to respect others’ beliefs and wishes, even if he didn’t like them — which is highly honourable in life in general, I think.” Heartily agreed! Not easy, either. Sorry I spelled your name wrong above, Red Chef. My father wasn’t embalmed. I was also fortunate enough to get to help dress him for the graveside service. 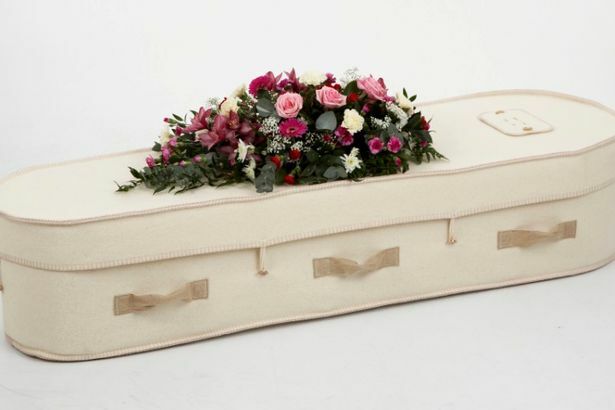 In my will, it says I want a natural burial, though they are not legal in MA yet…so I am glad to know other options. Yes, unfortunately this internet link’s so slow I could not get in to check, but love the idea. Not sure how much work it would be to fit shelves into a casket- guess even the rigid cardboard ones could hold paperbacks and magazines this subject is waaaay overdue- so much good land goes to graveyards but some good trees can be saved there. Grace, Tina, thinking of you. Very good post, do you need to update your title now on Facebook? Shawn, no, I’ve only made “real” Asst. You make me realize that perhaps my post was unclear. Oops. 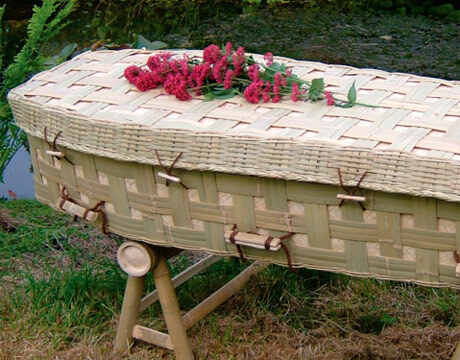 Green burial is my plan. I’ve just submitted this post to an interesting collaborative blog project, the Animist Blog Carnival (see http://lifthrasirsuccess.wordpress.com/animist-blog-carnival/ for more details). If all goes well, it will be linked to as part of October’s theme, DEATH, hosted at Pray to the Moon (http://moma-fauna.blogspot.com/). Helloooo kindred spirits!